Yes, they really ARE pants! Recreating Children’s Entertainer Nutty Noah’s Logo! 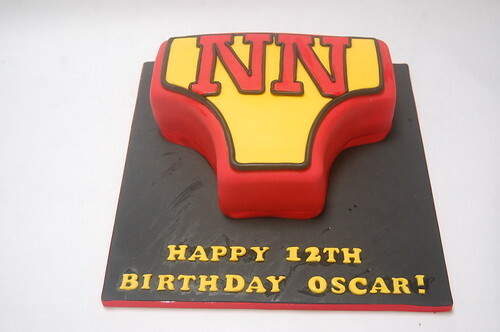 Nutty Noah’s Underpants Cake – from £70. Mermaid or unicorn? Unicorn or mermaid? Such a dilemma! 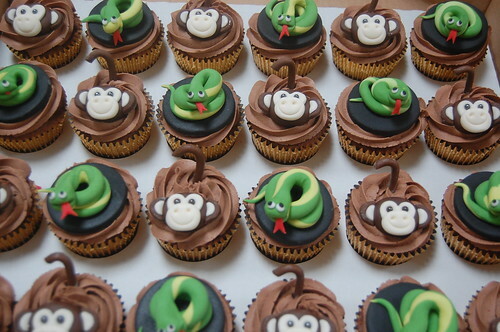 Now you don’t have to choose, as we have combined the two in this simply divine cake! 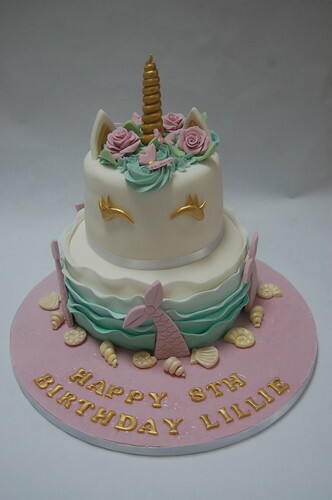 The Mermaid and Unicorn Cake – from £90. Another year, another tram for Eric! This time complete with Blackpool Tower and little beach scene. 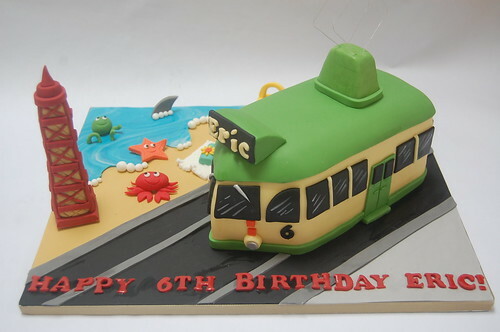 The Blackpool Tram Cake – from £90. 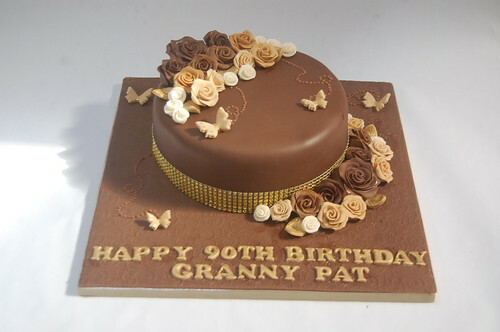 A beautifully traditional and rich chocolate cake for chocoholic Granny Pat! Beautiful Rose Chocolate Cake – from £65. 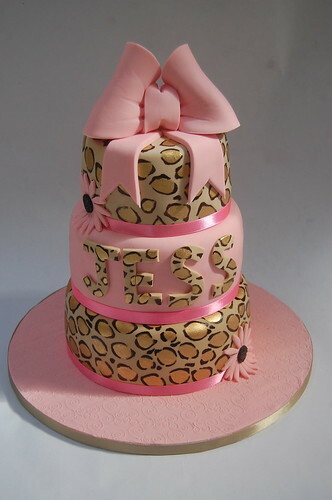 Such a stunner of a cake, with it’s 3D facial form and hand-painted features. 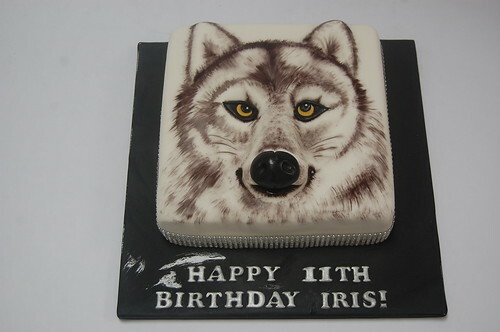 The Hand Painted Wolf Cake – from £80. We think most 7 year olds would be enchanted by this incredibly pretty cake, which boats the most beautiful pastel colours and 8 little dolls to keep! 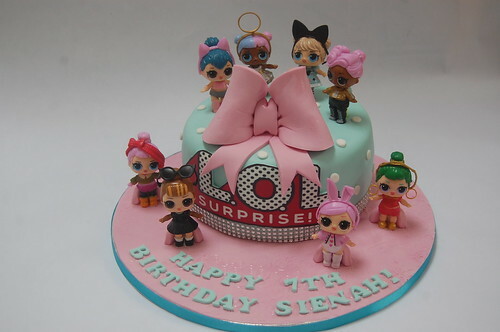 The Lol Doll Cake – from £75. A new depiction of the Frozen film, complete with snowflakes, sparkling silver diamante and Elasa’s beautiful 3D pearlised skirt. 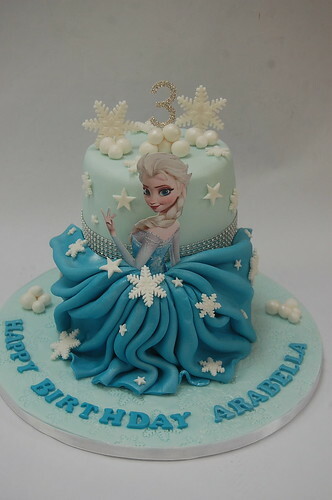 The Frozen Cake (Elsa’s Dress) – from £90. Thanks go to Martha for her excellent colour suggestions for her cake – we think the pinks and lilacs and turquoise work exceptionally well together! 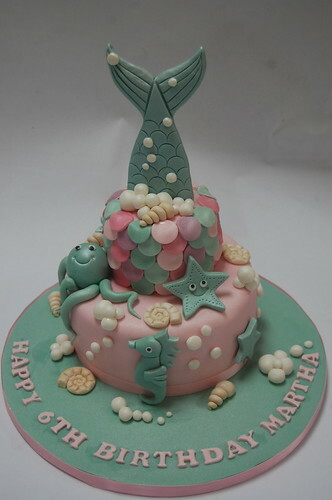 Martha’s Marvelous Mermaid Cake – from £90.